Almost two years in the making, discussions between INDYCAR and manufacturers, the consultations within the ICONIC advisory panel and the designs of several potential constructors have narrowed into a 2012 INDYCAR. 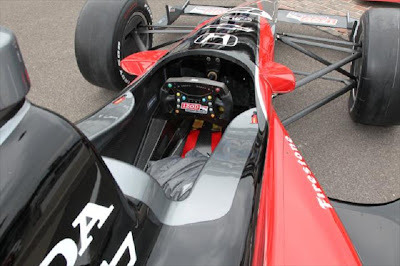 Since receiving the contract to supply their rolling chassis to the 2012 IZOD INDYCAR Series in early July, Dallara has worked on making a computer-generated race car model into the new competition. 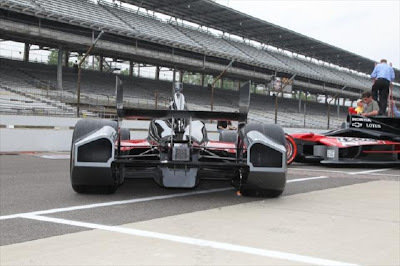 Based on a monocoque rolling chassis supplied by Italian-based manufacturer Dallara Automobili, the 2012 race cars have broken into the fabric of reality ahead of festivities for the 2011 Indianapolis 500. 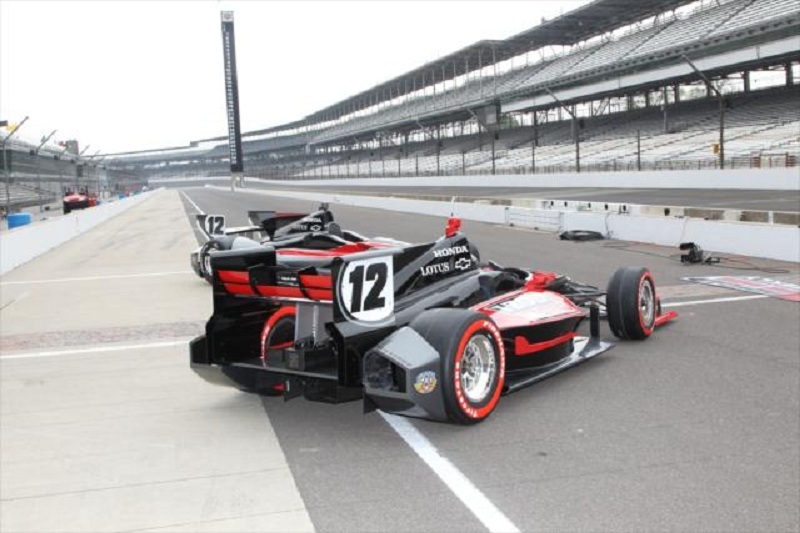 As the last Indy 500 is set to commence at the end of the month with a chassis based on a 9-year old design, the two new look Indycars gives an impression for the many faces for the future of American open wheel racing. Sampling the Dallara-sourced aerodynamic aerodynamic pieces over the brand's own rolling chassis, prototypes of the oval and road course suited open wheel setup reveals a healthy merger of race vehicle themes. 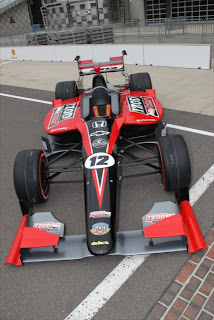 Maintaining the key parts of the traditional open wheel car DNA, the two mock-ups of the 2012 Indycars also display less conventional characteristics this auto racing genre. Unlike the previous Dallara chassis which was developed as the INDYCAR Series tour was performed entirely on ovals, the upcoming 2012 design is receiving more than just a mild compatibility with road course racing. Project manager in charge of implementing the new car Tony Cotman focused on the present and future possibility of the 2012 INDYCAR saying "There is a lot of room for aerodynamic kit development and that's what this platform is about - allowing people the freedom to design as they wish, dream as they wish and come up with a superior product than others. That's what drives competition." The road racing body kit of the 2012 Dallara Indycar charmingly borrows the tried and true traits of the previous race car. The side tunnels and aerodynamic elements are largely unchanged in deployment on the new vehicle. Pieces continue to optimize downforce on the twistier permanent road and street courses of the IZOD INDYCAR Series. On the oval bodywork, a most notable adjustment is made to suit the more close quarters action. The most profound changes are made to the rearward portion of the side panels. Resembling a sports car prototype or even a stock car, the side pods all but encompasses the rear wheels. This design is favourable to making open wheel oval racing more forgiving as a 'give-and-take' affair. A new design feature added to the oval as well as the road course version of the Dallara body kits is tunnels behind the rear wheels. Though the sanctioning body is heavily invested in the furnishing of the new Dallara, current teams of the IZOD INDYCAR Series voiced some mutual displeasure as they will be picking up the costs of an all-new race machine. Car owners are least enthusiastic about the cost of body kits which is said to cost up to $70,000 a piece. With Dallara's body kit introduced at Indy, sports car builder Lotus had already commented they will make available their own body kit options. Confirmed INDYCAR engine supplier for 2012 Chevrolet has also been mentioned as creating a body kit package. Proposing that INDYCAR at least delays the introduction of multiple body kit producers on the new car, this maneuver by the owners could easily be a play just to get their costs reduced. It will be seen if INDYCAR Chief Executive Officer Randy Bernard and other principals of the sport can persuade INDYCAR team owners to welcome the different looks for 2012 open wheel racing machines. 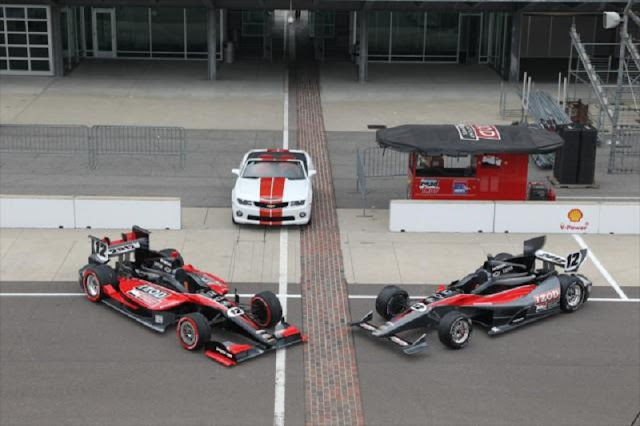 Announced up to the end of 2010, three engines will be available to power the new look Indycars. Conforming to rules specifying 2.4 liter V-6, twin-turbocharged engines running on ethanol-based fuel, Honda re-upped their commitment to American open wheel racing which spans back to 1994. Renewing support to INDYCAR, Chevrolet is teamed back with Illmor engines in creating their 2012 powerplant. British sports car maker Lotus will be a third powerplant option in 2012. Producing between 550 to 750 horsepower, the engine power will also be backed by an overtake assist or 'push-to-pass' system capable of time-limited boosts of up to 100 horsepower. As current overtake boosts temporarily reconfigure the engine electronics to emit more horsepower INDYCAR has not confirmed where the source of boost power will originate in 2012. As the ICONIC committee were considering options for the 2012 car last year, some speculation surrounded the application of regenerative technologies similar to Formula 1. Senior technical director of the INDYCAR Series Les MacTaggart mentioned in 2010 that the variety of race tracks in the tour would make such a system's use in INDYCAR racing a challenge. "It could be a consideration for our road/street events but it’s hard to say how effective it would be on ovals, which make up close to 50 percent of our current schedule." MacTaggart said also suggesting the use of process called Thermal Energy Recovery (where heat of the exhaust is changed into boost power) was being considered. The cost for the new Dallara rolling chassis is positioned at $345,000. According to last year's press conference declaring the 2012 Indycar, the first 28 cars to be delivered to teams is said to be subsidized to $100,000 in order to help the transition from the 2011 race machines. With one aspect being the American-based production of the 2012 Indycar and most of its components, money will also be saved through switching the car between oval and road courses. Unlike the current car which requires different suspension pieces and configurations when racing the variety of tracks, the 2012 Dallara-based Indycar will feature a common suspension system needing few changes for converting from road course to speedway. INDYCAR also plans to best control costs of the 2012 car through insisting that the race vehicle production be based largely in the United States. 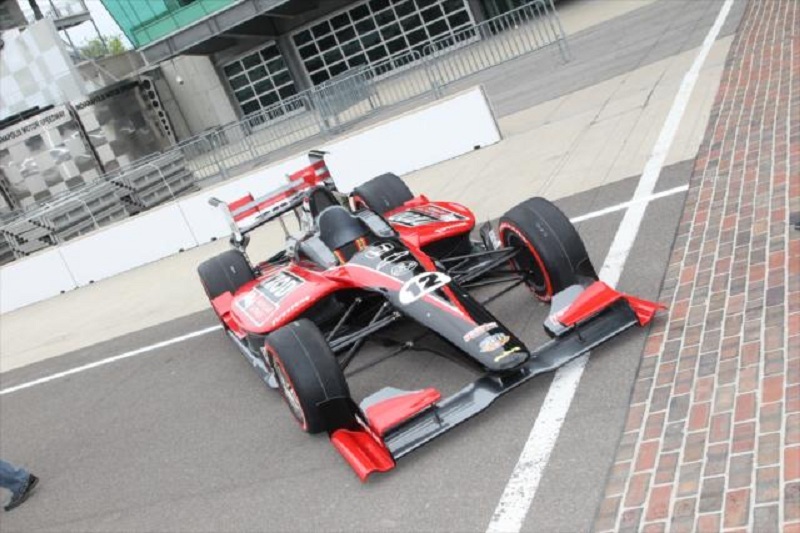 A major component is having Dallara set up a facility just a short distance from the famed Brickyard itself in Speedway, Indiana. "We have a plan and it's all coming together. About 95 percent of the parts of the car are in production, and we'll be assembling the prototype car shortly. By August, we'll already have to be into the production run for the first 30 or 40 cars of parts." said Dallara representative Sam Garrett. In less than one year's time, the work and planning of the new Dallara Indycar will be reflected by the on-track product of American open wheel racing.